In these busy times, technology seems to control our lives. I now have four separate remote control devices – TV, antenna rotor, DVD player and surround sound audio control – just to watch television. And when you want to communicate with someone across the street or across state lines, the usual means these days is email...that is, when it works. Email is an evolving technology that will never be right until someone can develop a system that eliminates all spam and phishing schemes, and also offers a simple reply "receipt" showing the recipient actually received and opened your email. Without those two features, reading and sending emails on some days is an exercise in frustration. "The Postal Office Department played a vital role in developing the nation's commercial aviation industry. In 1928, depending on the weather, delivery could take five to 10 days. First-class letters traveling coast to coast today are transported by air and take three days to deliver. Airmail delivery started in 1918 at a cost of 24-cents, or $3.43 in today's dollars. United Airlines, American Airlines and other commercial carriers first got off the ground as contract air mail carriers. To keep the mail moving by flying at night the Post Office installed radio stations, towers, beacons, searchlights and boundary markers. The Post Office also equipped planes with luminescent instruments, navigational lights, and parachute flares. Once the public recognized the mail got there safely, passenger service began. 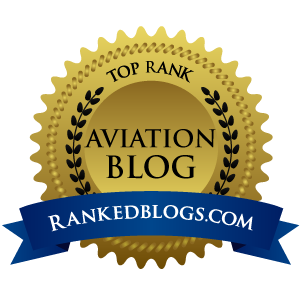 Today, the Postal Service continues as the airline industry's largest customer and invests more than $3 billion of its $6.5 billion annual transportation costs to air transportation." "A restored airmail passenger biplane that crashed in 1928 will navigate America's first transcontinental airmail route and depart from Republic Airport in Farmingdale, NY on September 10. 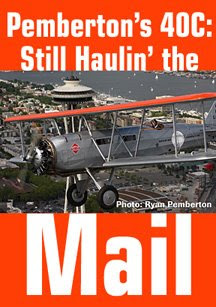 Mail on the six-day, 15-stop flight will fly on the nation's oldest operating passenger airliner -- a restored open cockpit Boeing 40C biplane that has interior seating for four passengers." The Boeing 40C was meticulously restored to perfection by Aviation Historian/Antique aircraft restorer and Boeing 40C Pilot Addison Pemberton of Spokane, WA. 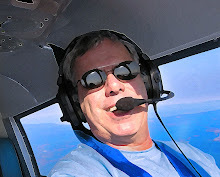 He will be joined on the flight by 1927 Stearman C3B Pilot Larry Tobin and 1927 Stearman C3B Pilot Larry Tobin, both antique aircraft restorers. Wed., Sept. 10 -- Depart New York Republic Field 9:30 a.m. Arrive Bellefonte, PA late morning. Depart and arrive Cleveland, OH Burke Lakefront Airport (BKL) late afternoon/early evening. Thurs., Sept. 11 -- Depart Cleveland (BKL) 9:30 a.m. Arrive Bryan, OH (OG6) late morning. Depart and arrive Chicago, IL Lansing Airport (IGQ) late afternoon. Arrive Iowa City, IA (IOW) early evening. Fri., Sept. 12 -- Depart Iowa City 9:30 a.m. Arrive Omaha, NE (OMA) late morning. Depart and arrive North Platte, NE, (LBF) late afternoon. Sat., Sept. 13 -- Depart North Platte 9:30 a.m. Arrive Cheyenne, WY (CYS), late morning. Depart and arrive mid-afternoon Rawlins, WY (RWL). Depart and arrive Rock Springs, WY (RKS) early evening. Sun., Sept. 14 -- Depart Rock Springs 9:30 a.m. Arrive Salt Lake City, UT (U42) late morning. Depart and arrive Elko, NV (EKO) late afternoon. Depart and arrive Reno, NV (RNO) early evening. Mon., Sept. 15 -- Depart Reno 9:30 a.m. Arrive Hayward, CA (HWD) late morning. Depart Hayward mid-day for San Francisco (SFO or Chrissy Field). Return to Hayward. And in closing, I think it is interesting to look at the progress we have made in sending a letter from New York to San Francisco. In 1860, it took 14 days, 4 by rail and 10 by Pony Express. The early air mail flyers cut that to 1 day, 10 hours, 20 minutes in 1924, and today, according to USPS, that same piece of mail can make the trip in 6-7 hours. Which – on some days – is still faster then email!